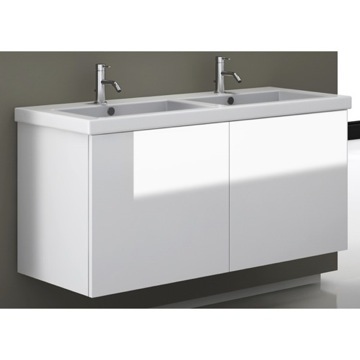 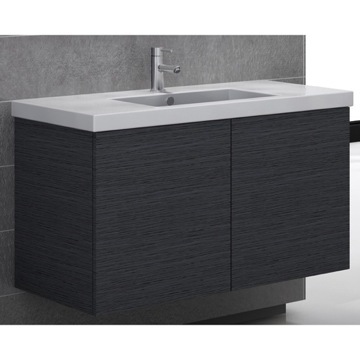 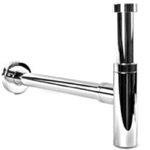 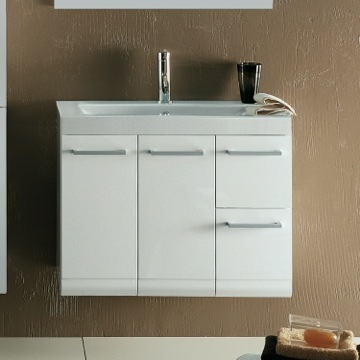 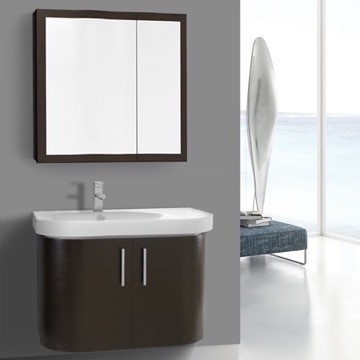 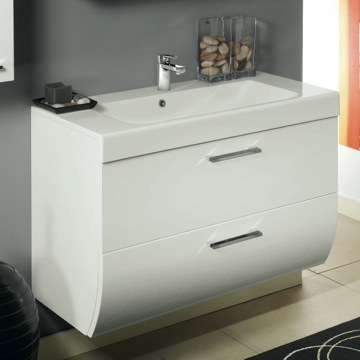 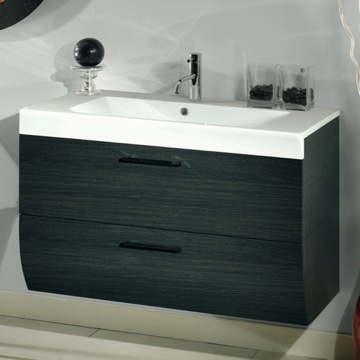 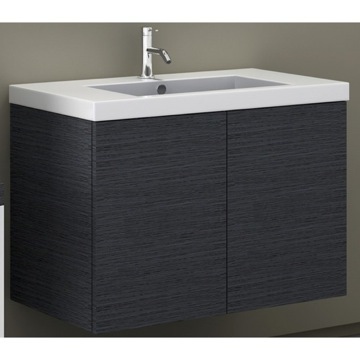 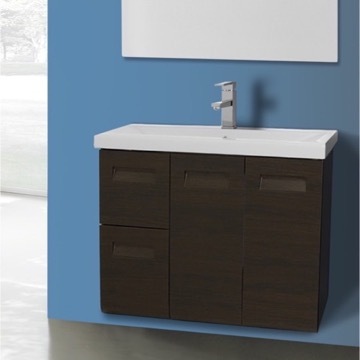 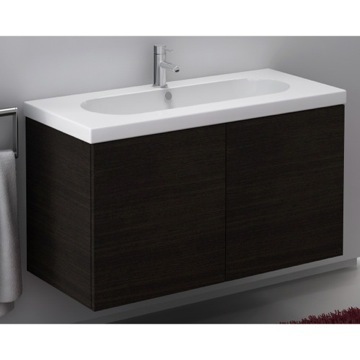 This vanity set includes a vanity cabinet with a white ceramic sink. 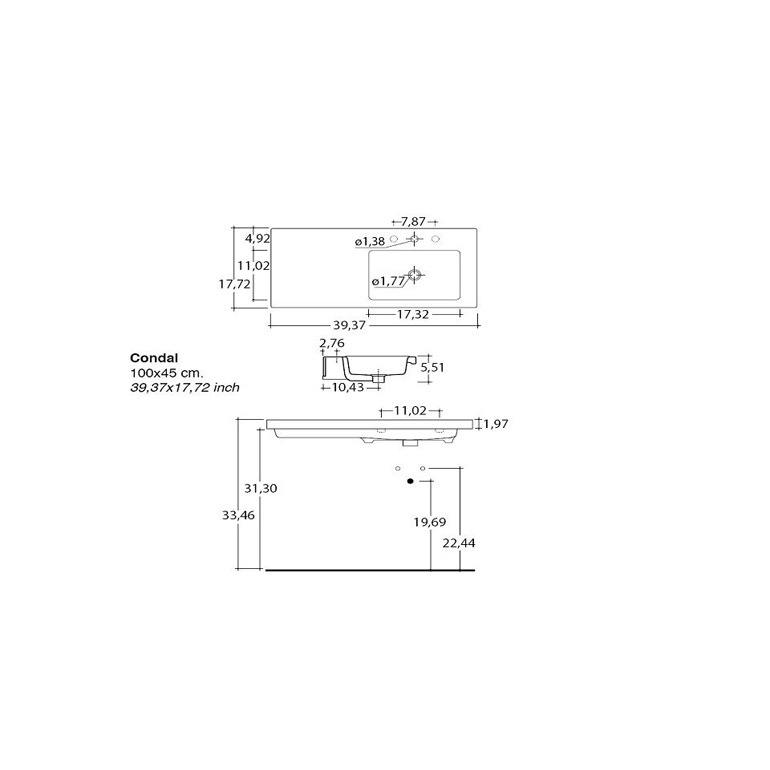 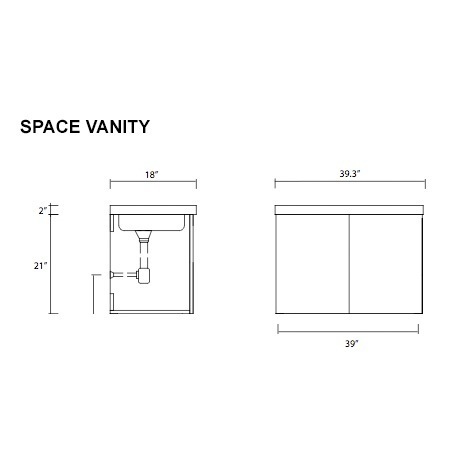 The vanity is 39.0 inches wide. 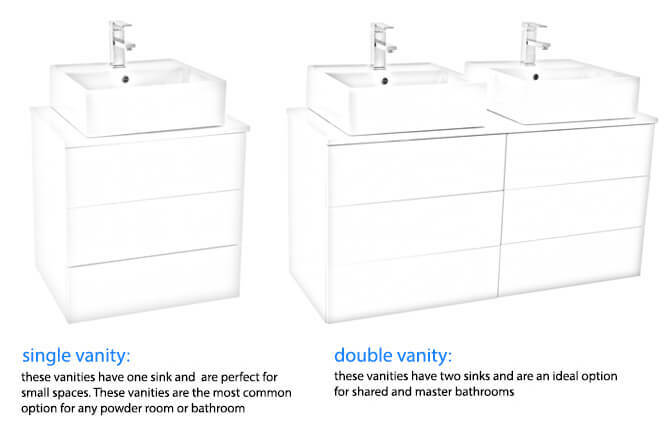 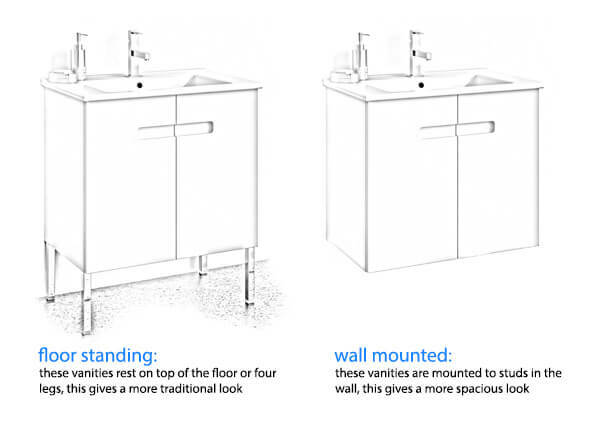 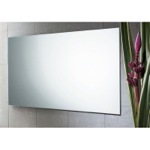 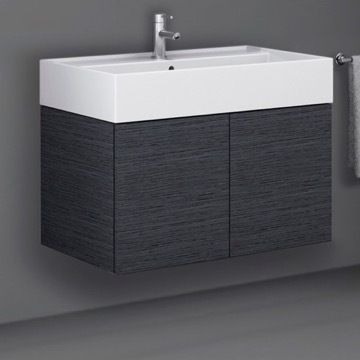 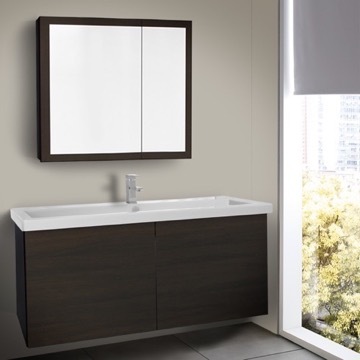 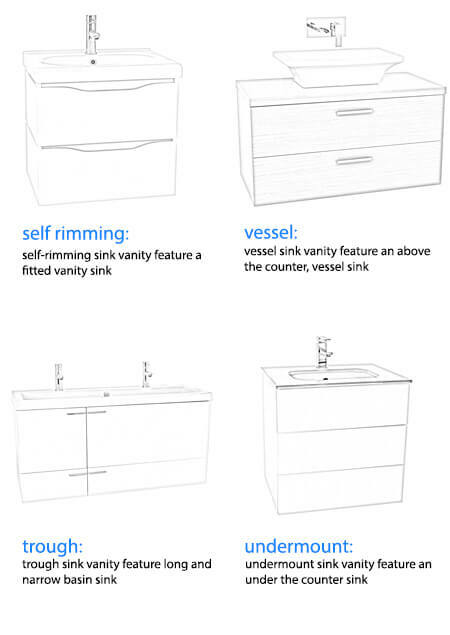 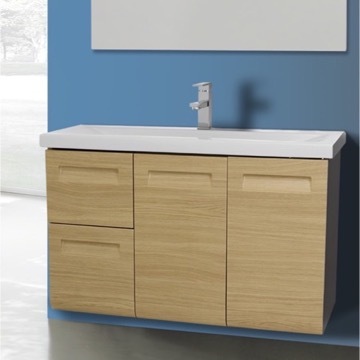 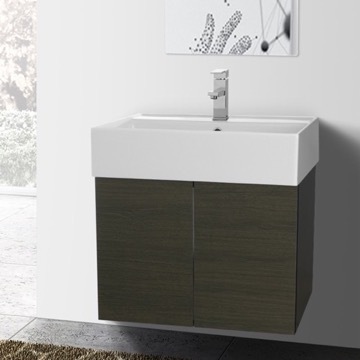 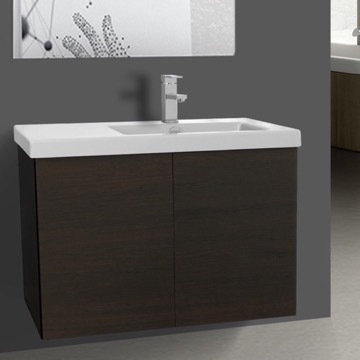 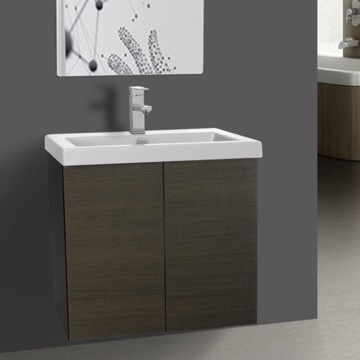 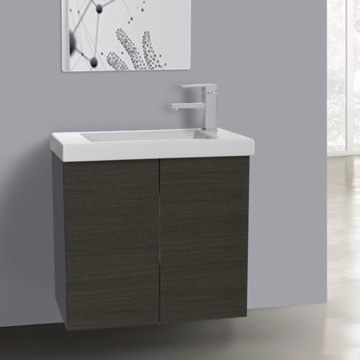 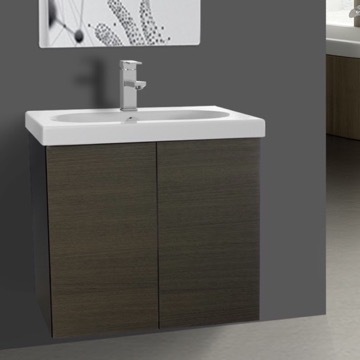 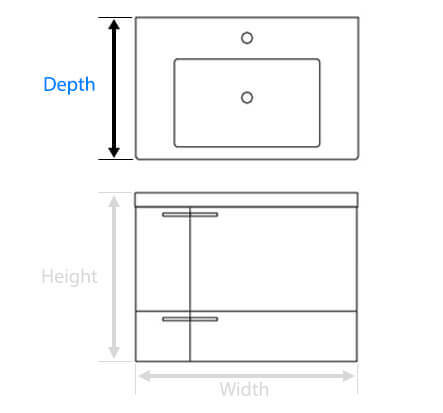 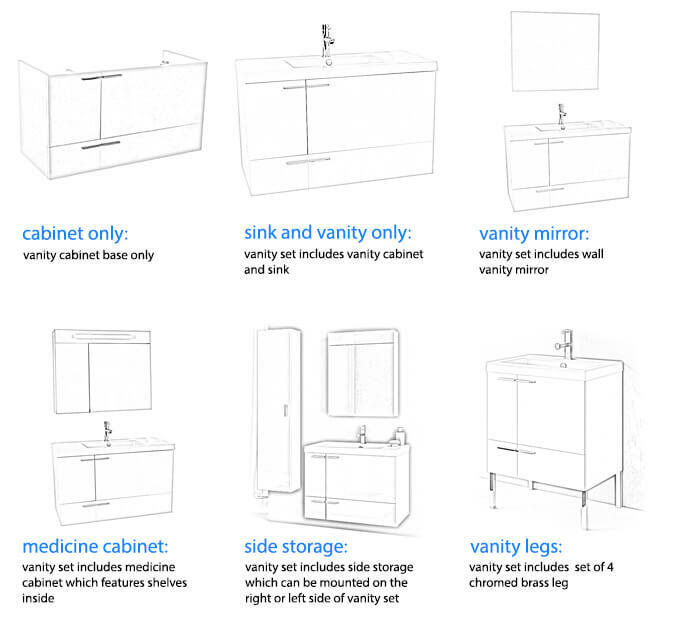 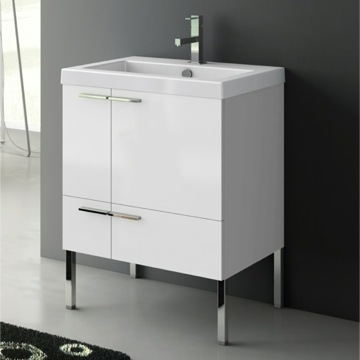 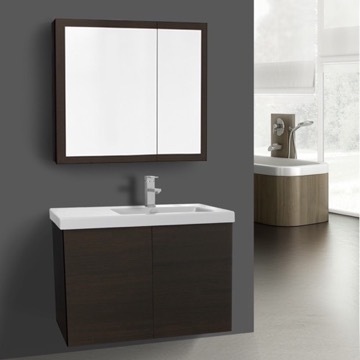 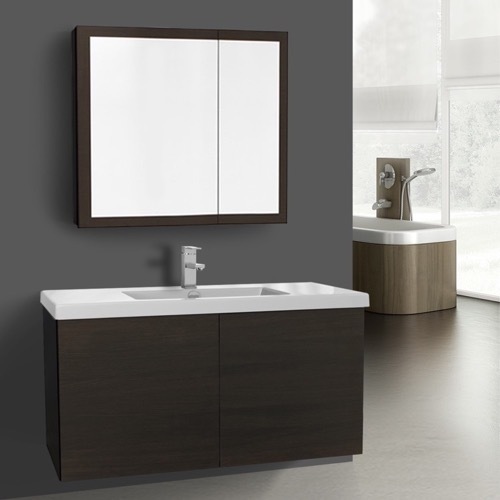 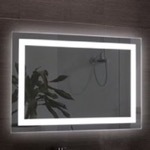 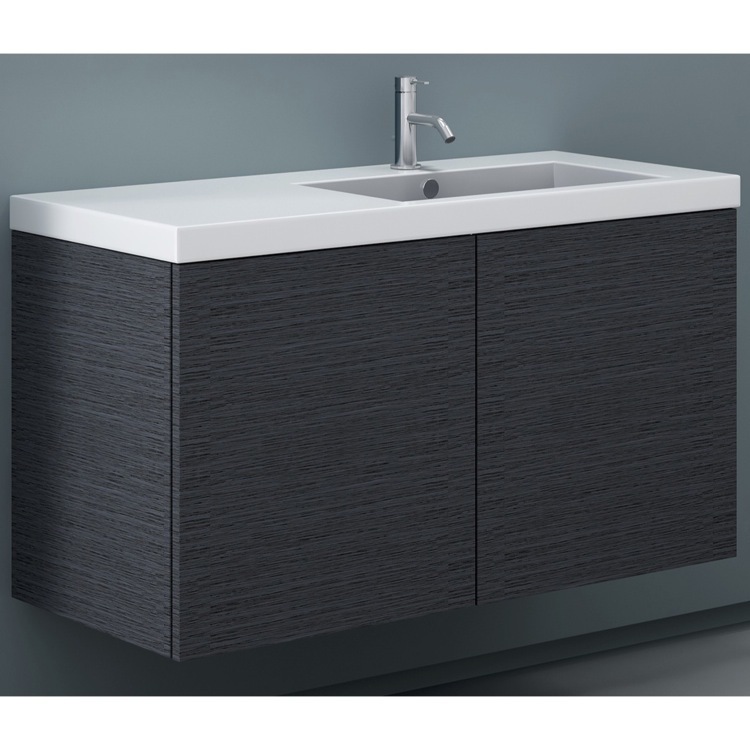 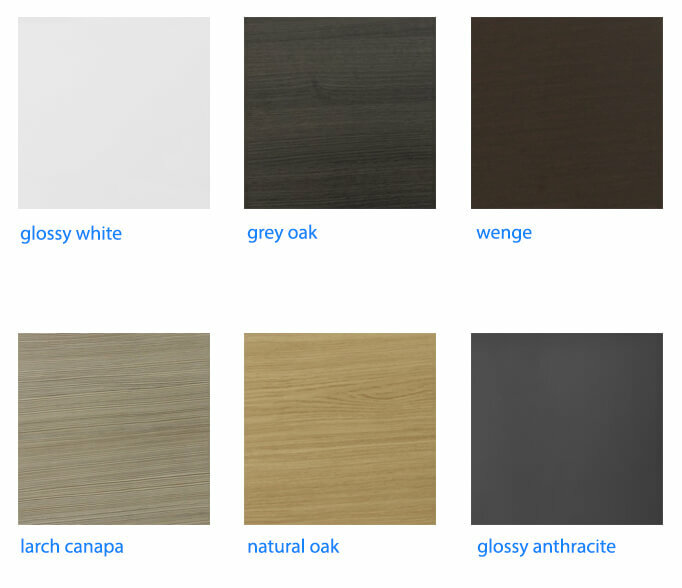 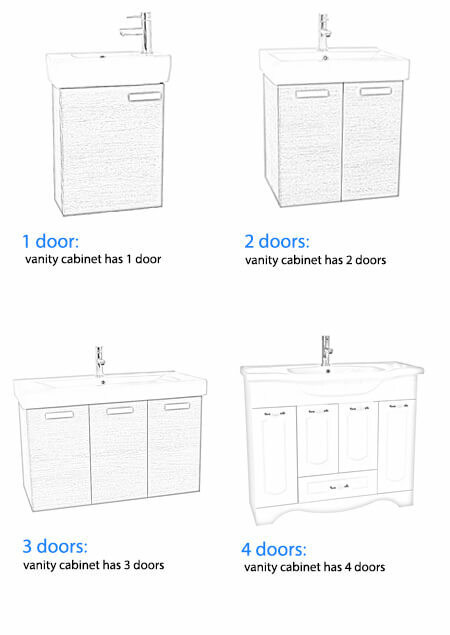 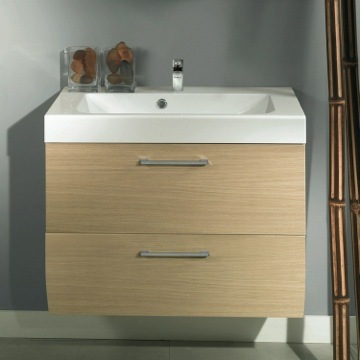 The vanity cabinet is made from waterproof panels and are produced using a environmentally friendly process These panels give you the utmost protection against dampness. 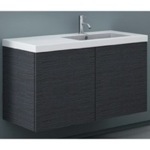 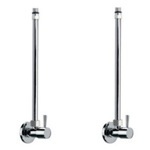 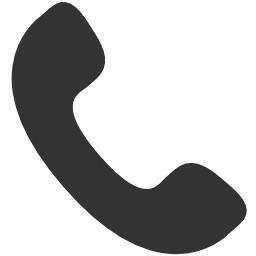 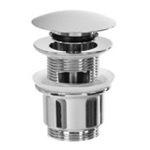 I ordered this in white and it is very elegant and discrete. 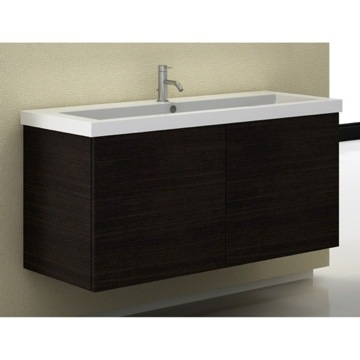 Perfect for a small bath like we have in San Francisco. 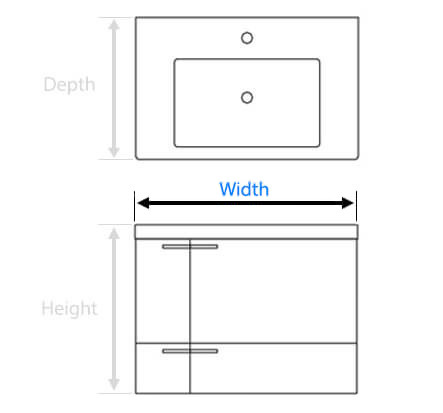 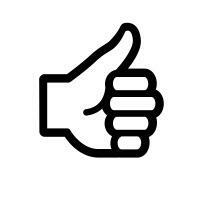 One thing to consider - if you intend to attach to the wall you need a brace in the wall. 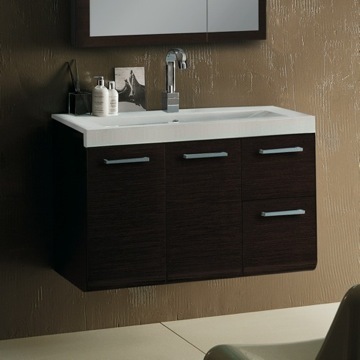 I used the legs and it sits lower than a typical American style vanity.